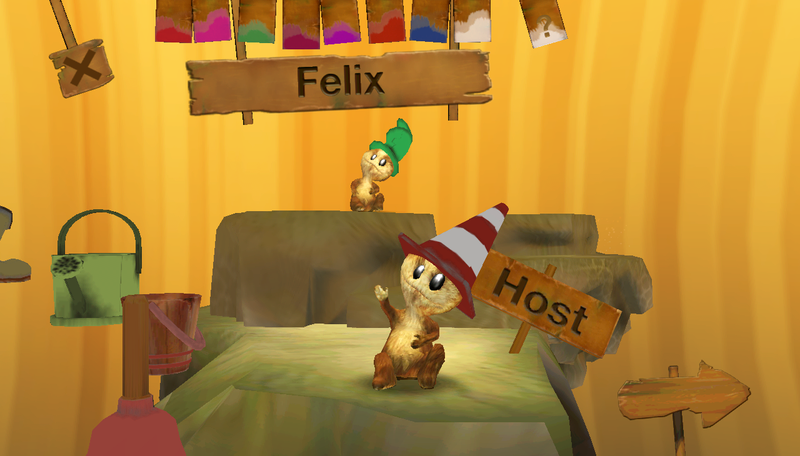 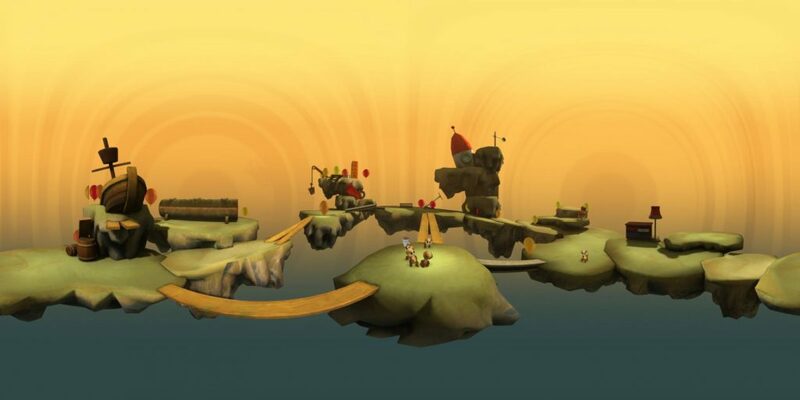 Fun mini-games in a magical miniature world. 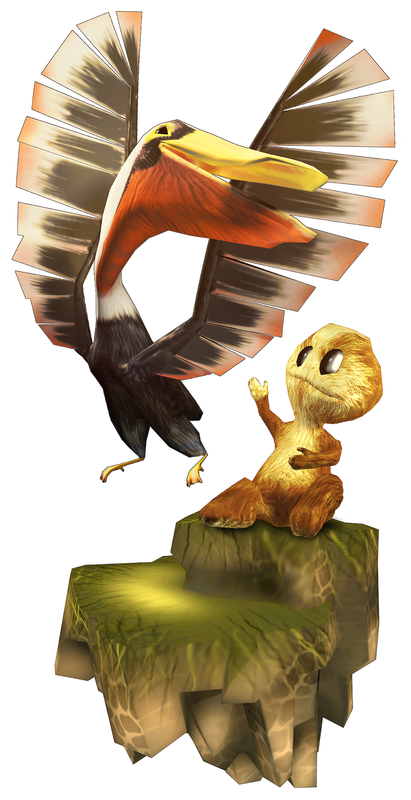 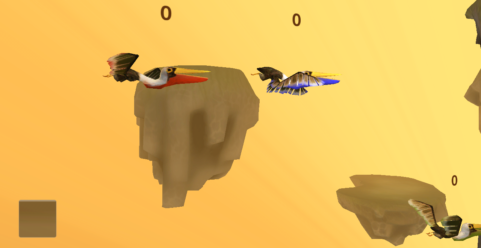 In MohWorld, the little furry Moh are living on flying isles together with rock eating pelicans. 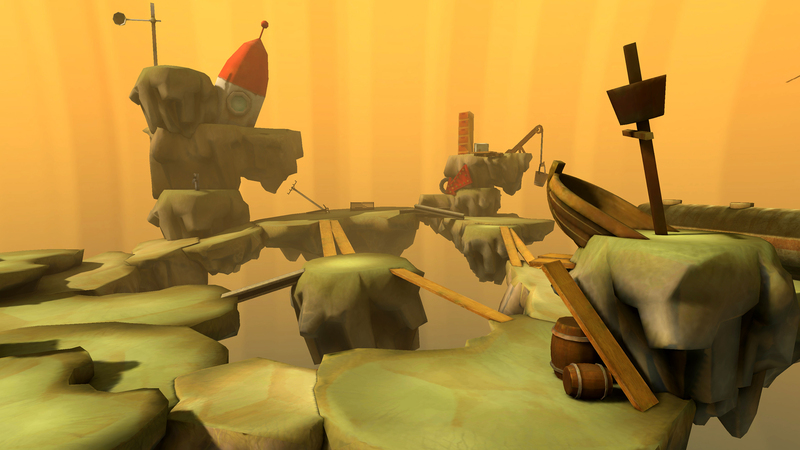 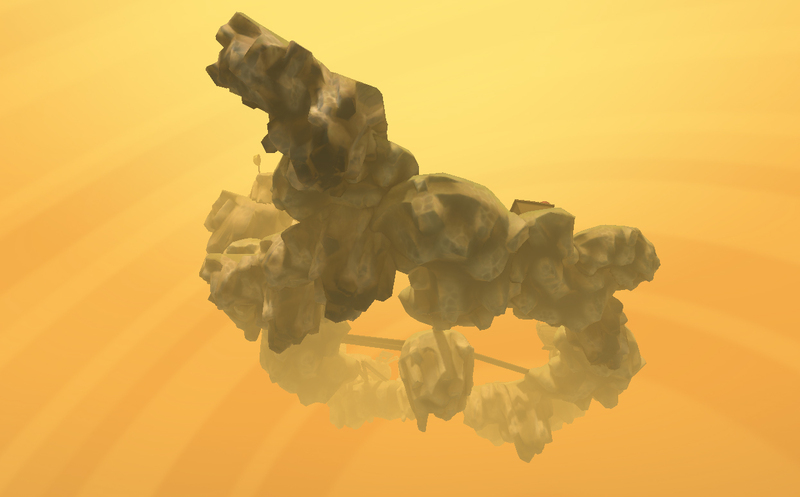 We created a series of multiplayer mini-games in this setting, each with extraordinary input methods. 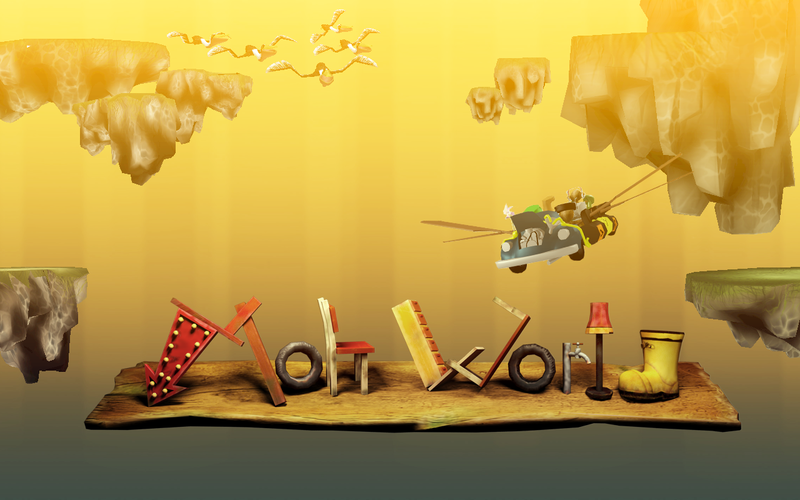 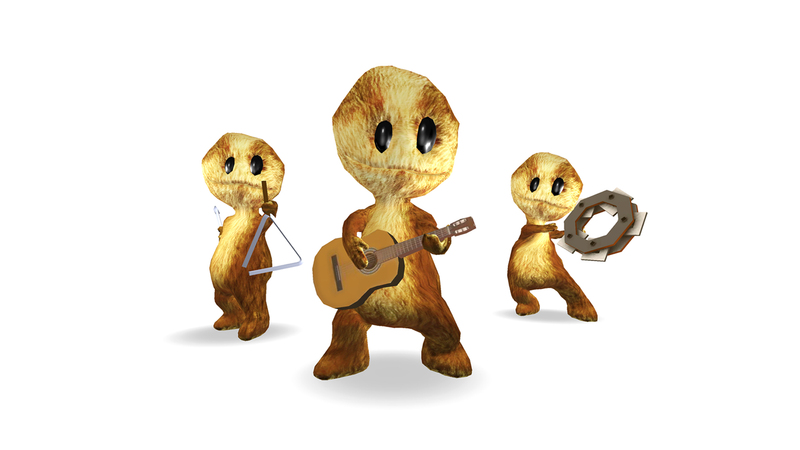 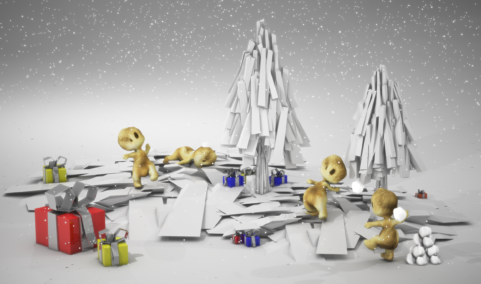 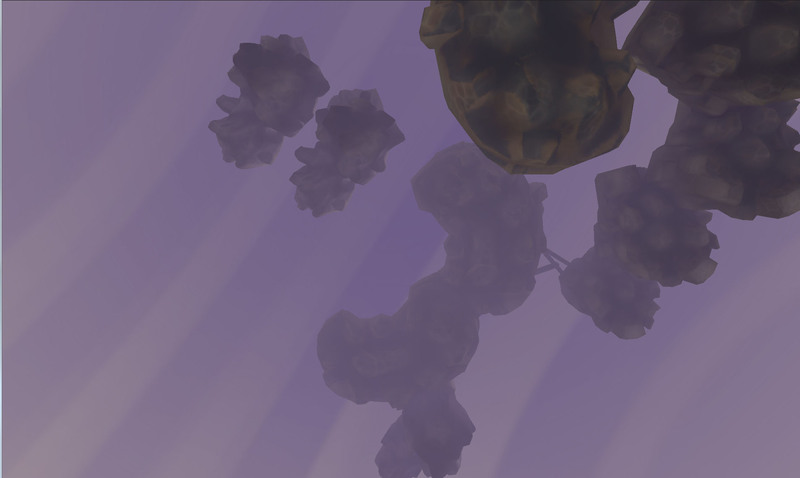 Our goal during the development of MohWorld was to go through the complete game development process – from the rough concept to sketches, asset creation (modeling, texturing, animation, soundtracks), interface design, and parallel to that level design, lots of programming, testing, and marketing. 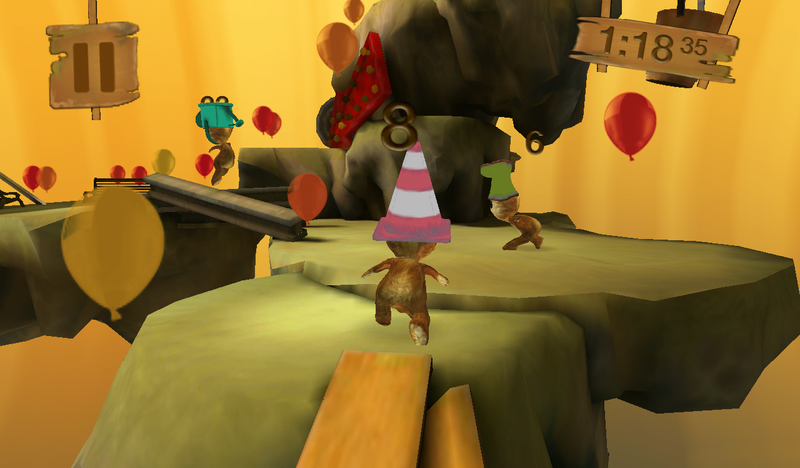 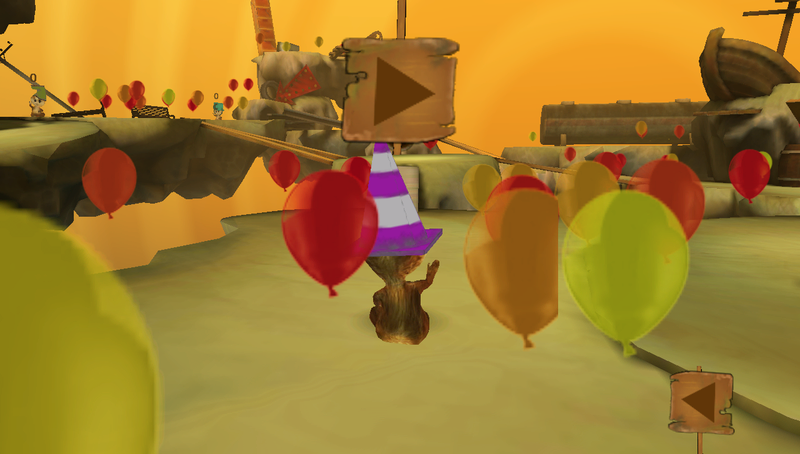 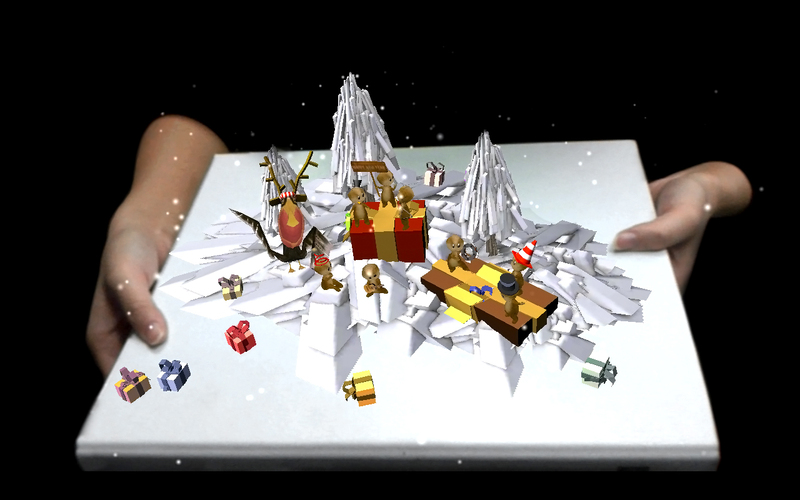 This resulted in four mini-games, each using different technical aspects of the mobile devices, such as tilt sensors, camera tracking, multitouch and more. 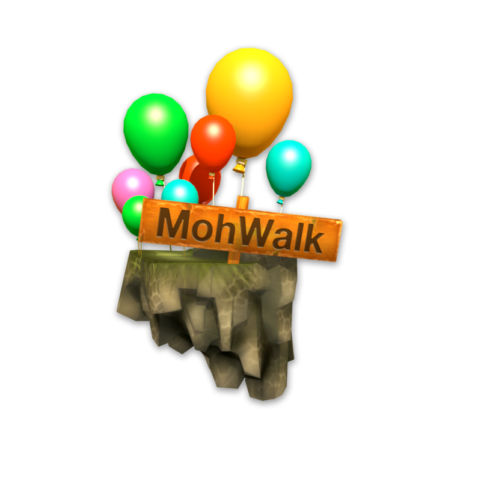 It was especially important to us that MohWorld is a multiplayer experience. Every player can take part in the games with his mobile device, whether it’s a tablet or a smartphone, and compete against the others. 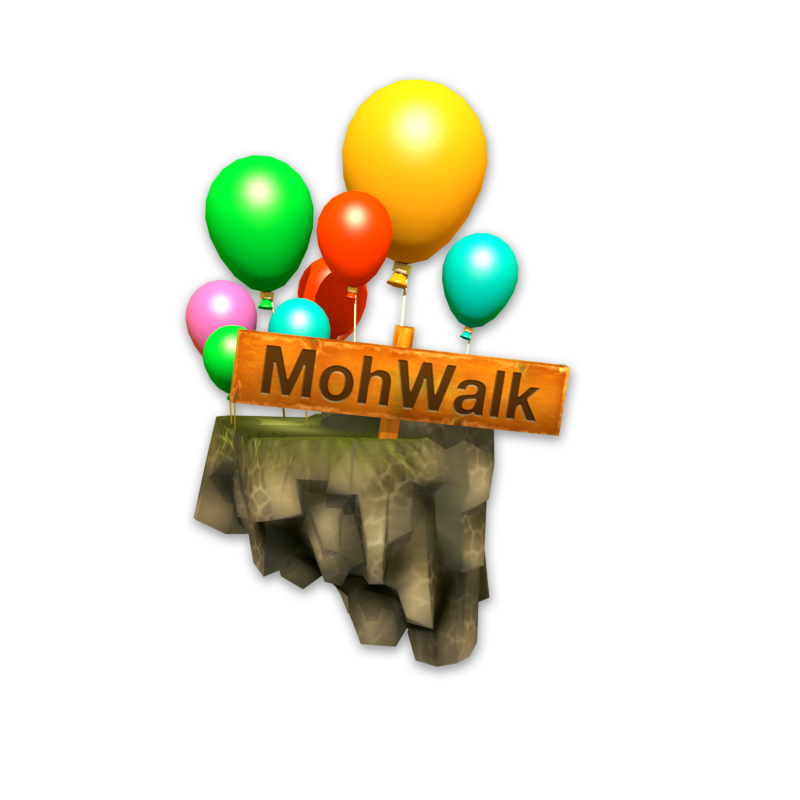 MohWalk is a classical multiplayer Jump-N-Run, but the smartphones’ sensors manage all the controls (including jumping). 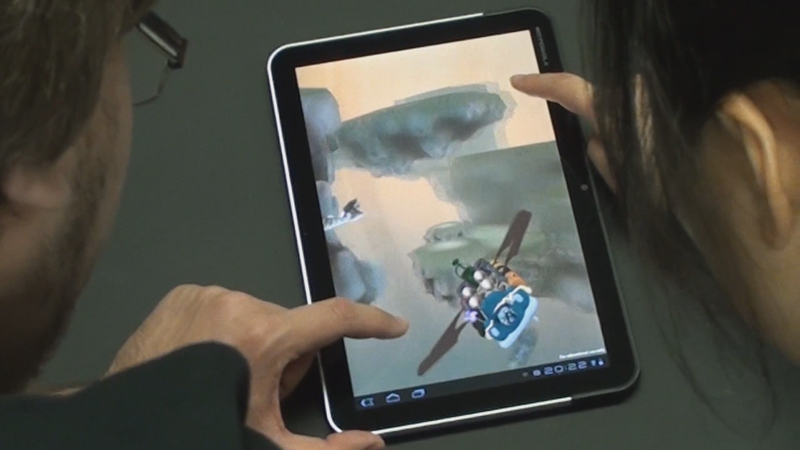 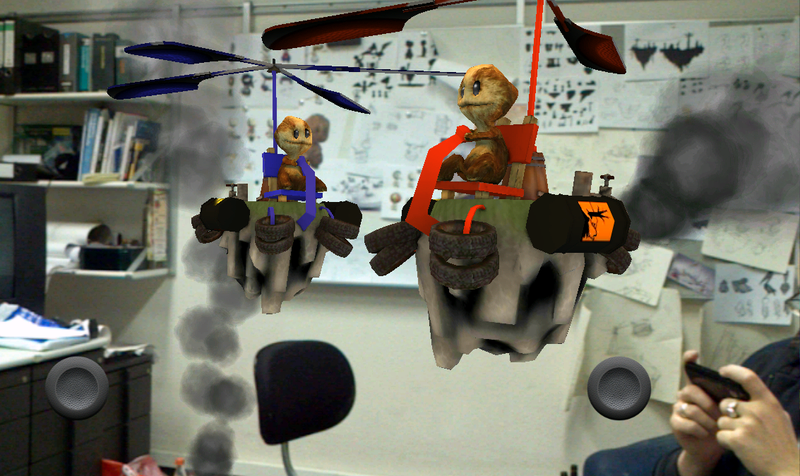 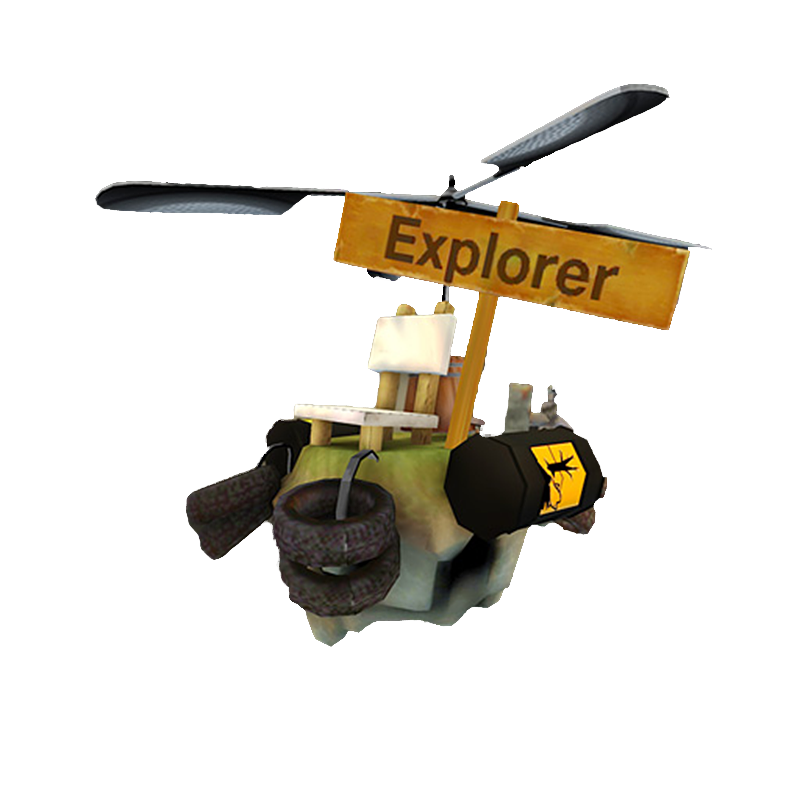 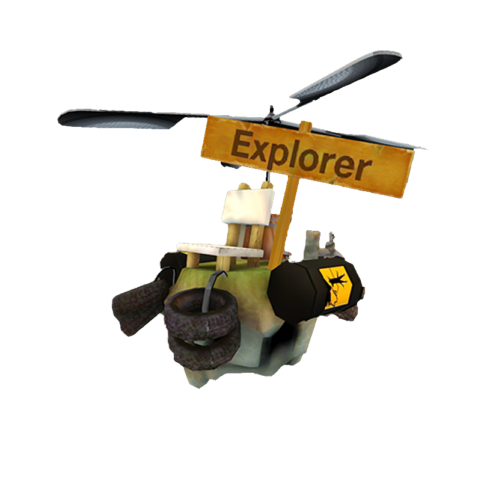 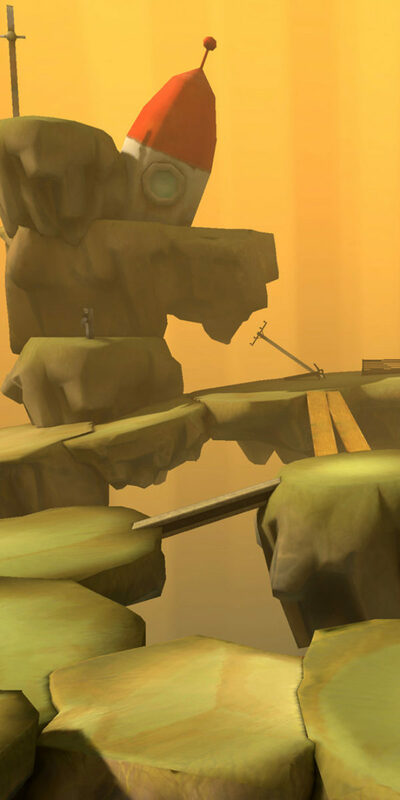 By using the RoomExplorer (Augmented Reality – tracking through markers), players can navigate their personal Moh and its flying vehicle throughout the real world. 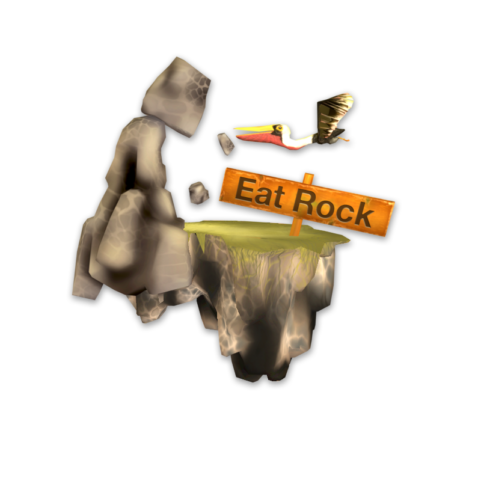 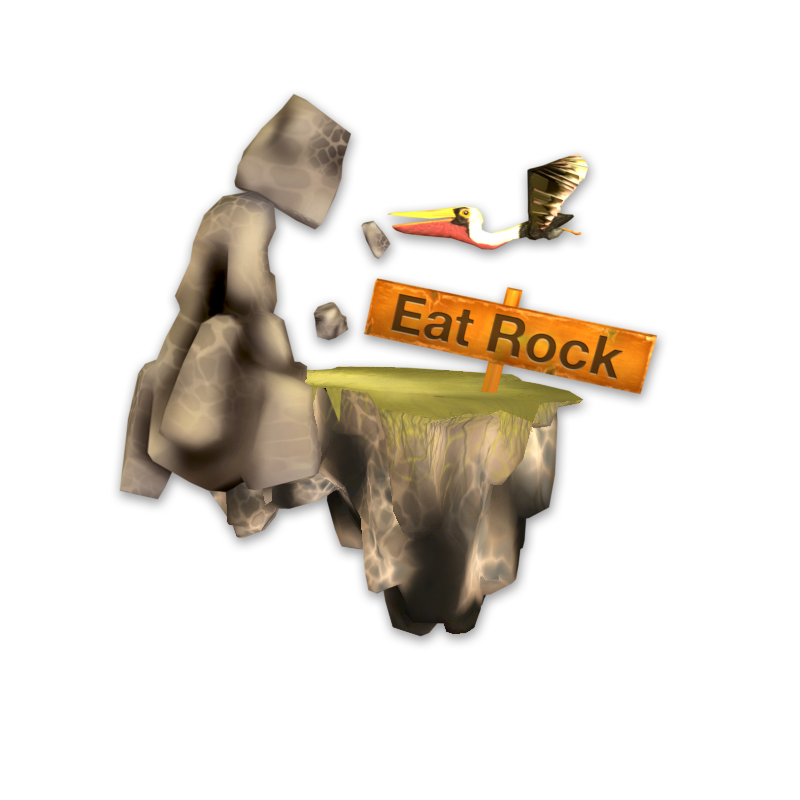 At EatRock players use the smartphone’s angle to guide their pelican through the world, trying to eat as many rocks as possible. 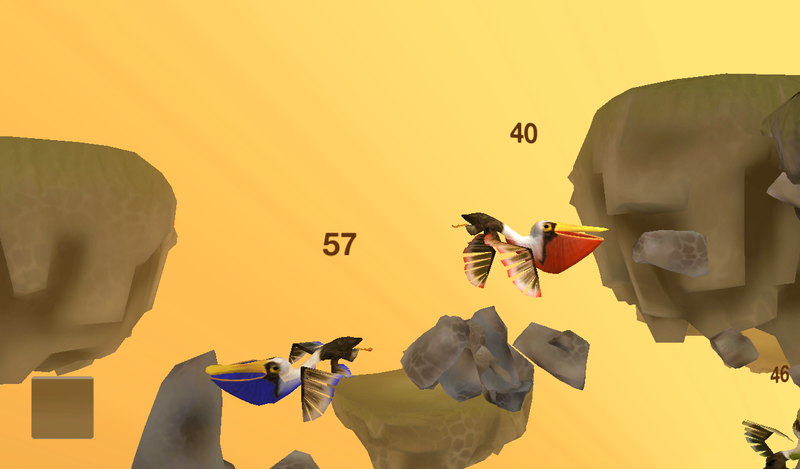 You can also bump into the other pelicans, causing them to lose some of the stones that they have already collected. 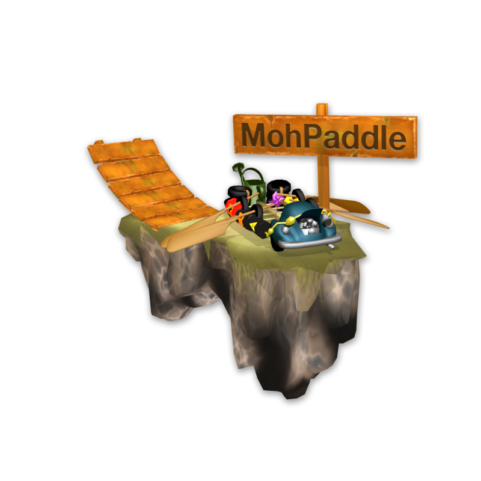 At MohPaddle two players are steering a flying Moh vehicle together. 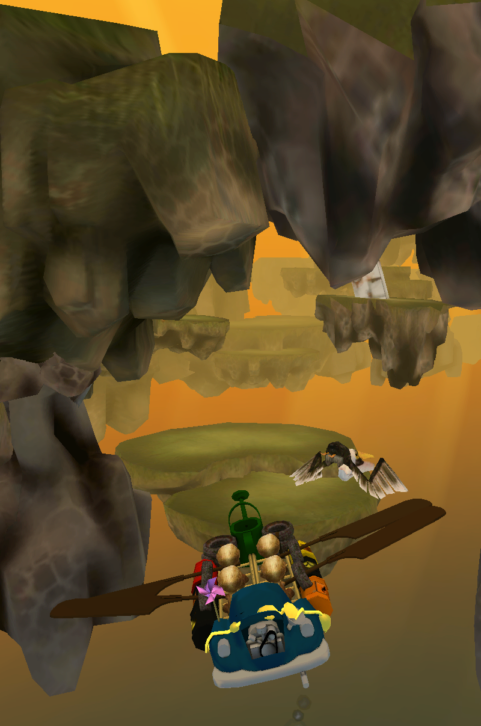 It’s their goal to catch the escaping pelican. 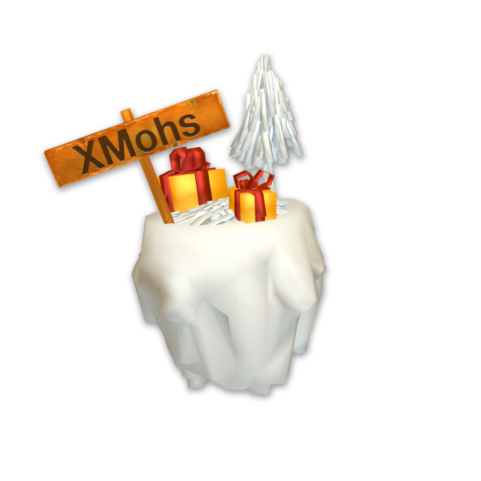 For Christmas, we also made a special postcard, which was hinting at the XMohs App. 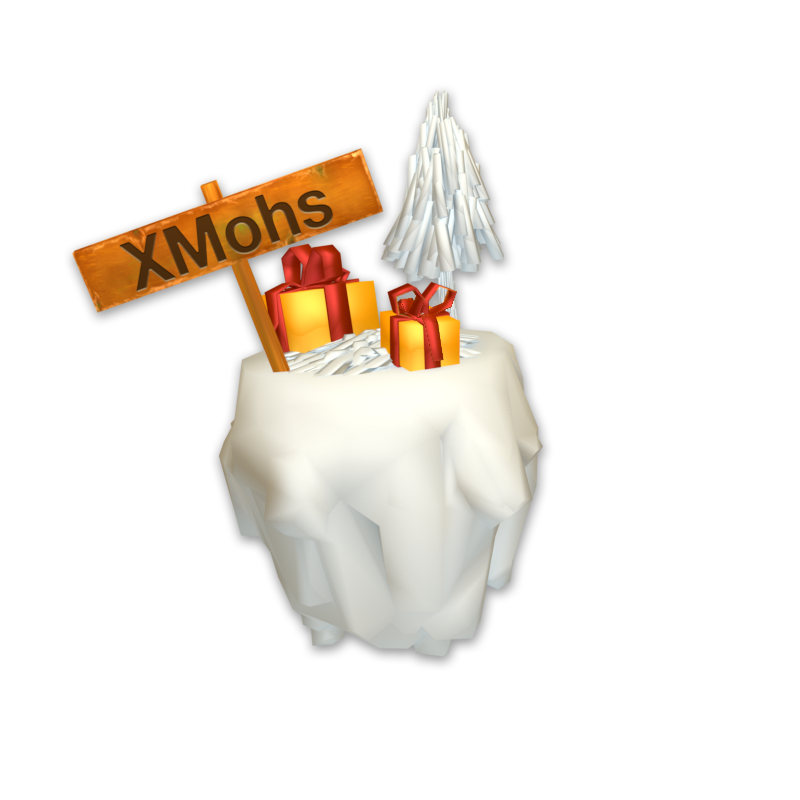 The postcard was also the tracking marker for the XMohs, an augmented reality application. 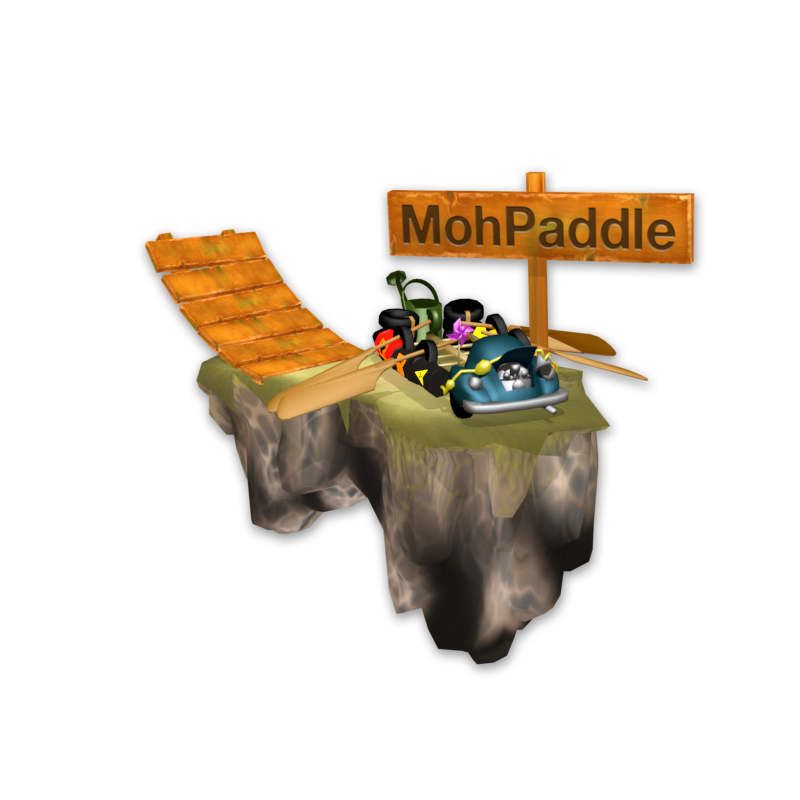 Once launched, you can look around and watch the Moh sing a Christmas carol together.